With the 2019 Honda CBR650R release fresh in our minds, we thought we’d take a look back at one of its predecessors, the Honda CBR600F. When Honda Europe were asked to revive the CBR600F, they took the tried and tested Honda CB600F Hornet chassis and built a comfortable, practical sportsbike that looked good, too. "Honda have given us the modern-day equivalent CBR600F. It is every inch a practical sportsbike and would make a better bike for an awful lot of riders, especially those who ride outside of their limits but won’t admit it or don’t realise until it’s too late. A hundred horsepower in a good package is more than enough to have fun." - MCN launch report, March 16, 2011. It’s a lot more fun than we made it sound back in 2011, harking back to the all-round appeal that made the pre-RR CBR600s so damned attractive. The riding position is flat enough to contemplate a long trip without booking into a chiropractor at the other end, and the engine is perky enough to dish out kicks without reserving all of its power for the last few thousand rpm. This is the CBR that took the Hornet 600 and used it as a base for a road-focused alternative to the track refugee Honda CBR600RR. It shares the detuned 2007 RR motor used in the Hornet, which also donates its frame and most running gear, but with clip-on bars and a fairing that extends back as far as the engine. 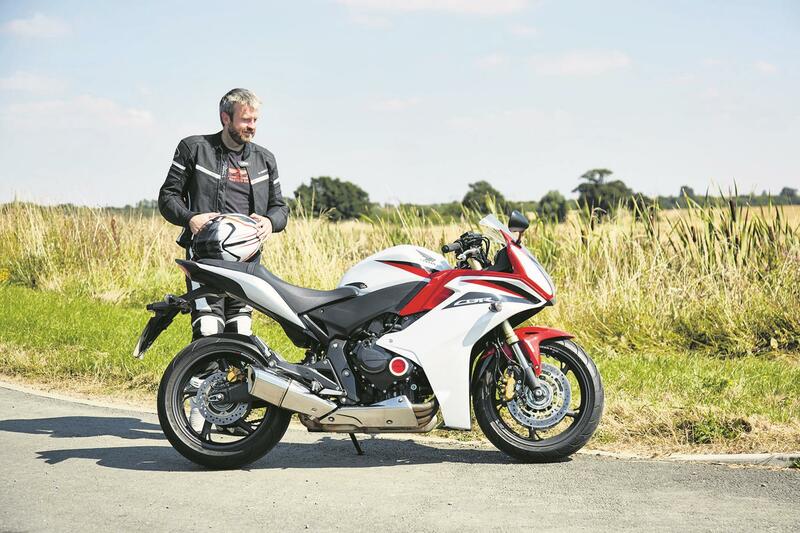 It only lasted from 2011 'til being dropped in 2014 in favour of a more humdrum Honda CBR650F and I’d go as far as to say it’s the forgotten generation of CBR600. In researching this test, it took some explaining to get some people to even remember the bike. And that’s a shame, because it’s more than just an admirable project – the bike is damned enjoyable. Within minutes of jumping on this well cared-for example that’s for sale at MCN’s local BMW dealership, there’s a friendly familiarity about the CBR. The seating position is exactly what people refer to when they go misty-eyed over the CBR600 of the ’90s and the handling is perfectly neutral. The engine provides easy coasting power up to 6500rpm before baring its 600RR-derived teeth and chomping off into speeds that would go well into triple figures. This one’s covered just 8400 miles in five years and feels crisp in both engine response and steering reaction. It rolls neatly on barely worn tyres and the ABS-supported brakes are strong. 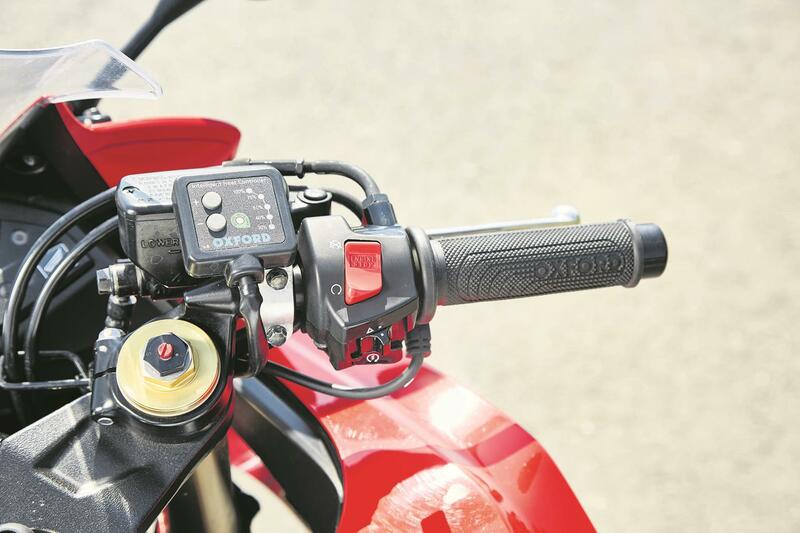 The ABS-equipped bikes stop better, and not just because of the electronic assistance – they came with stronger opposing-piston brake calipers rather than the twin sliding pistons expected to haul up the non-ABS bikes. Ride quality isn’t exactly magic carpet territory, but for bike that was £7000 when new, it’s supportive and compliant. An afternoon on one of these is an afternoon well spent. This example bears no evidence of known problems – no rattle on start-up to suggest camchain tensioner issues, the ABS light goes out when it should and the bars turn smoothly so no fears on the head bearings. Nothing presents itself as clear evidence of potential trouble with this bike. A lack of crash protectors means no potential issues with seized crash bobbins. 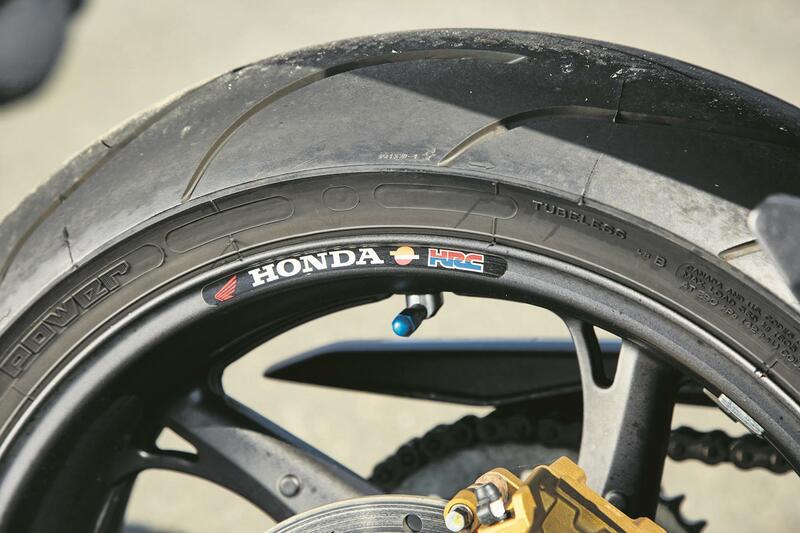 The front mudguard extender, tank protectors and heated grips are all practical additions, but won’t be to all tastes (MotoGP branding is racier than the bike and the grips are quite thick). 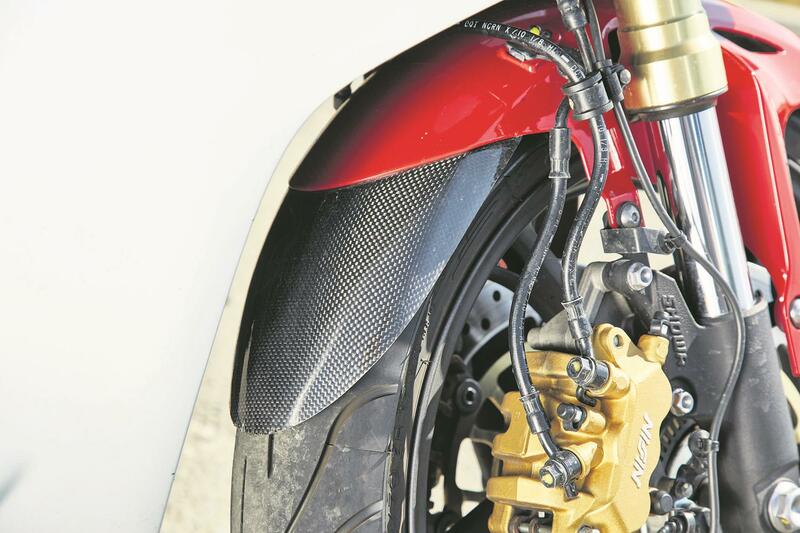 The upside-down forks, classy Nissin calipers and overall quality level put it above the CBR650F that has tried to fill its spot in Honda’s range. Now these are all between six and eight years old so there are enough on the used market to make them well worth a look. Scott Bullet is the Workshop Manager at leading Honda dealer Doble Motorcycles and says: "There can be problems with the camchain tensioner. Once the engine is warm, blip the throttle and listen for a rattling sound on the over-run once the throttle is shut. That means a replacement camchain tensioner, which is approximately £100. "There was the odd issue with the charging system so use a multimeter to check the battery is showing around 14.7V when the engine is running. The other trouble in the electrics was that the ABS light would show as a fault and that was due to a break in the wire at the rear of the bike. That was quite unusual, but it did happen sometimes so check on a test ride that the ABS light goes off once you reach 10mph. "If the light doesn’t go out, it would need to go to a Honda dealer so they can put it on the diagnostic machine and get the error code. It’s not a massively expensive fix and it’s not that common that it goes wrong, but I’ve seen a handful of bikes with the issue, which used to happen to the Hornets as well. "If it is the wire that’s failed, you have to take the undertray off, so you’re looking at three or four hours labour, and that’s if the person knows what they are looking for. "Another thing to look at is steering head bearings, which sometimes didn’t have enough grease in them from the factory. This made them a little tight and they became a little notchy in the centre. If you raise the front wheel and turn the bars in either direction you’ll feel a notch. If it’s a serious case you’d feel it without raising the wheel. 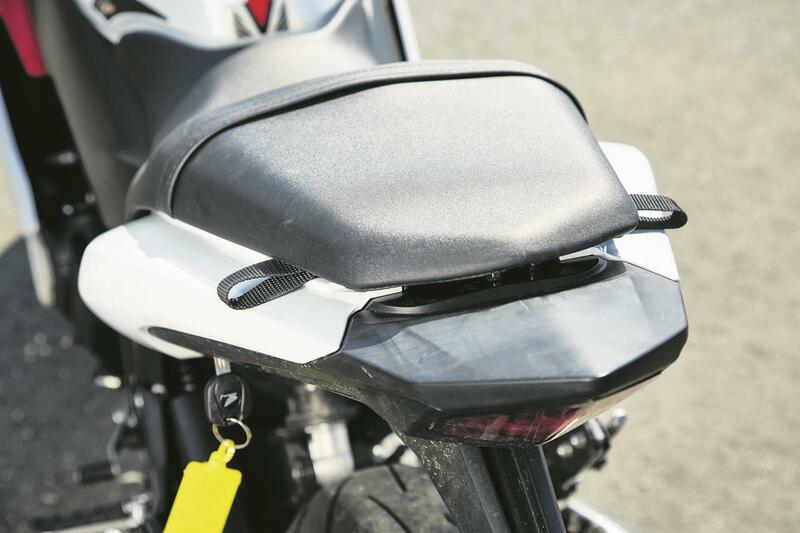 "Also, if the bike has crash mushrooms fitted, be aware that if bolts have not been greased properly then trying to remove them can snap the lug on the front of the engine. That is a mega expensive repair as we have had some occasions where we had to get the cases welded. "Squirt them with a light oil or penetrant and let it soak in. Then get a breaker bar and see if they will undo, but if you face massive resistance then leave them alone. Overall this generation of CBRs were nice machines – comfortable, rarely go wrong and good all-rounders that got a bit unfairly overlooked." 2011 Honda CBR600F - it's back!